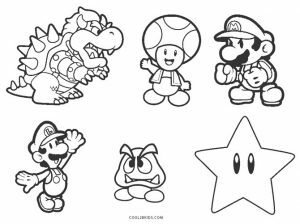 Kids would be super excited to put color on this unique assortment of Mario Brothers coloring pages. 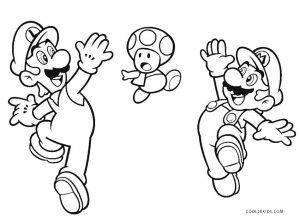 The siblings have been captured in neat sketches on the free and printable pages showing their heroism while saving the Mushroom Kingdom. 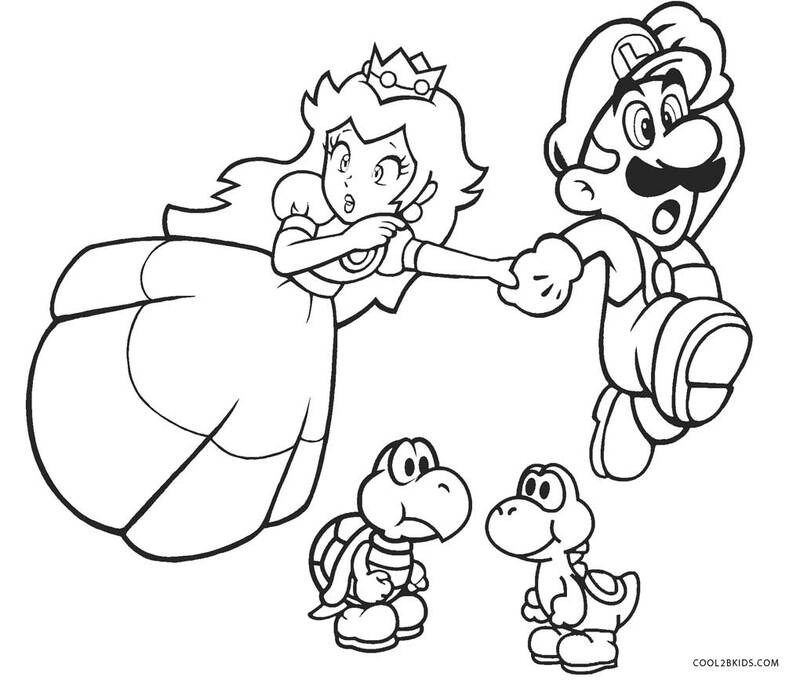 Mario’s dress would be a combination of red and blue. 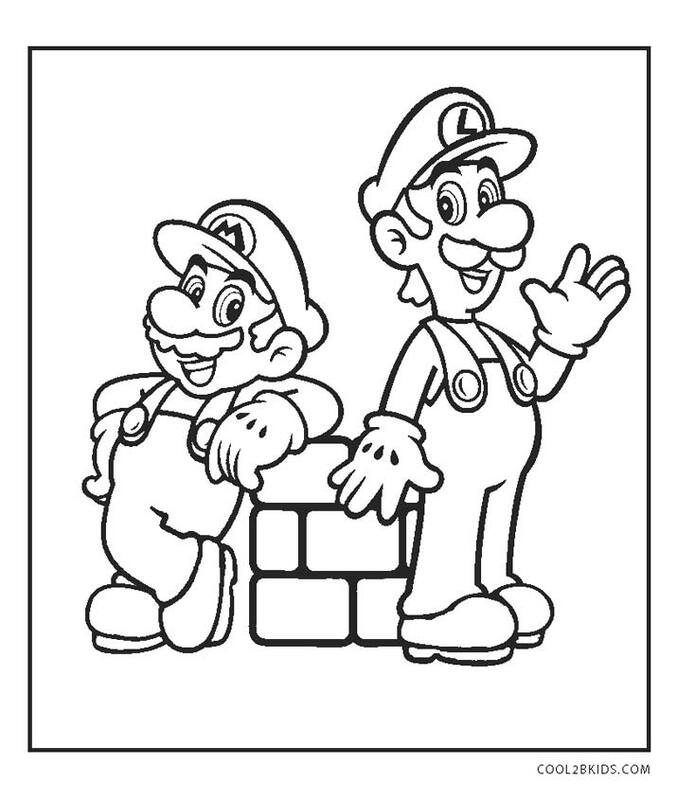 Luigi, the taller and slimmer brother, wears a green shirt with blue overalls. 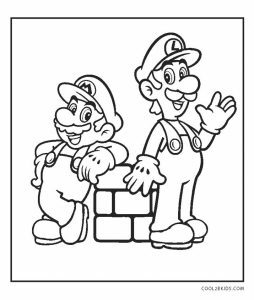 His cap is green while Mario’s is red. 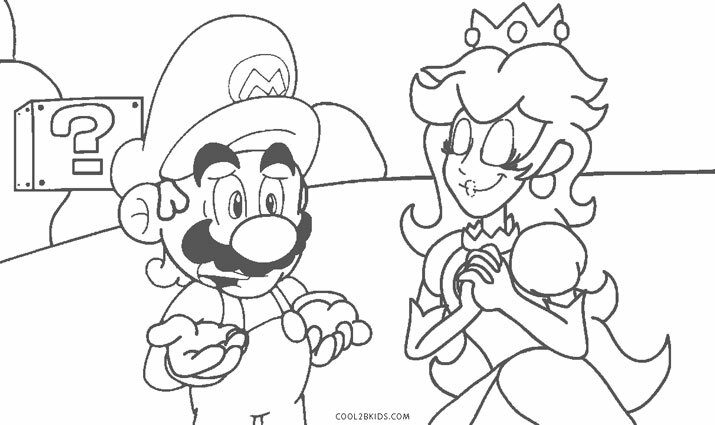 Princess Peach has a shiny golden mane and her dress can be colored pink. 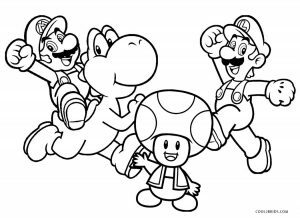 The green dinosaur, Yoshi, who accompanies the brothers on their missions has orange shoes. 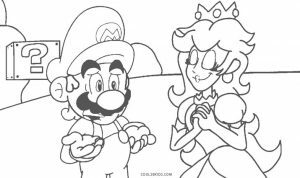 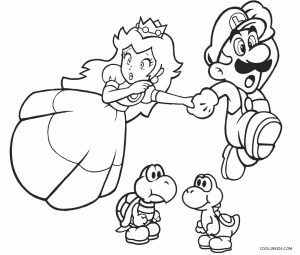 The page depicting a romantic moment between Princess Peach and Mario would bring a smile to young faces. 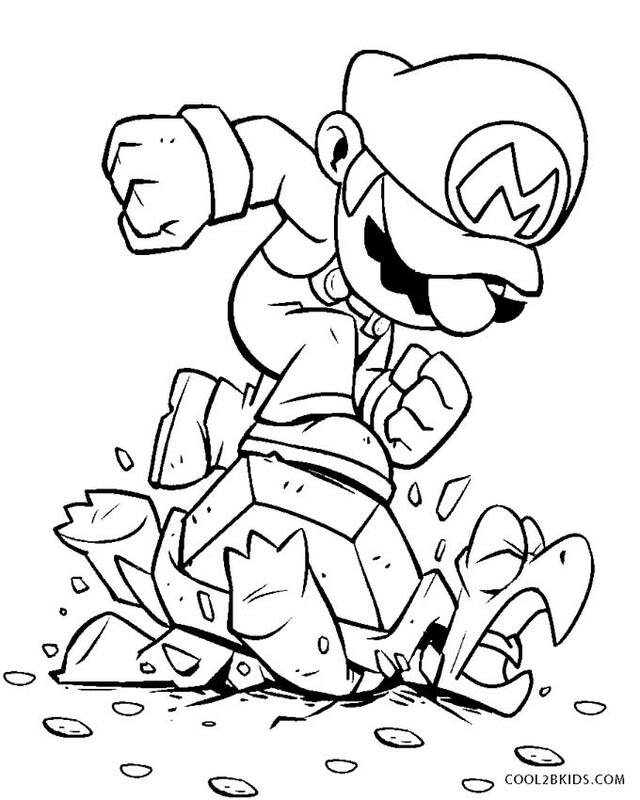 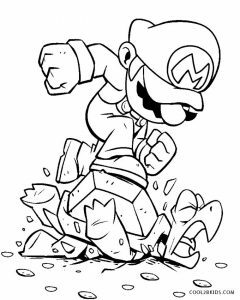 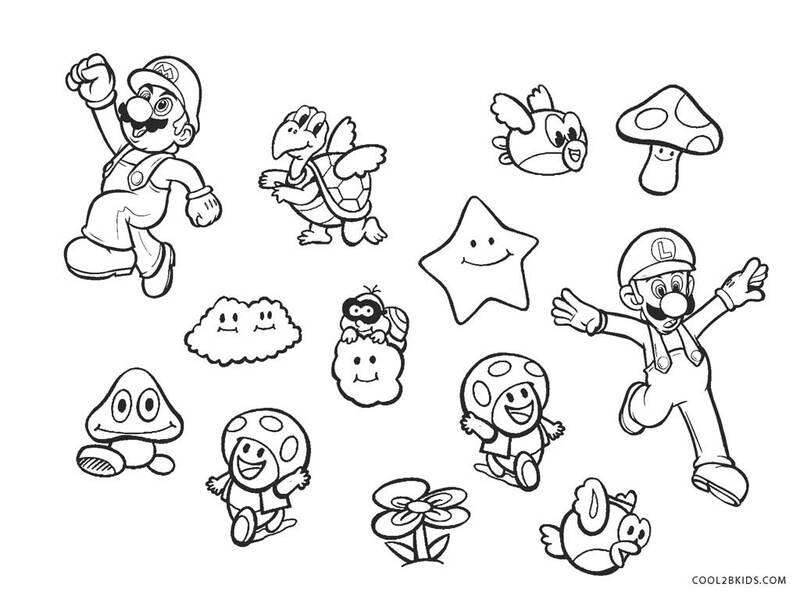 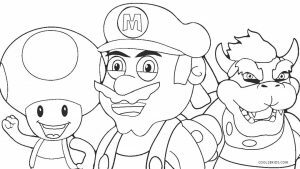 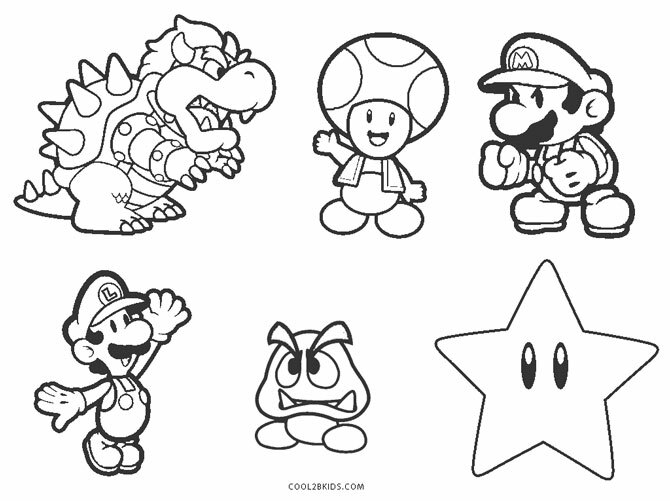 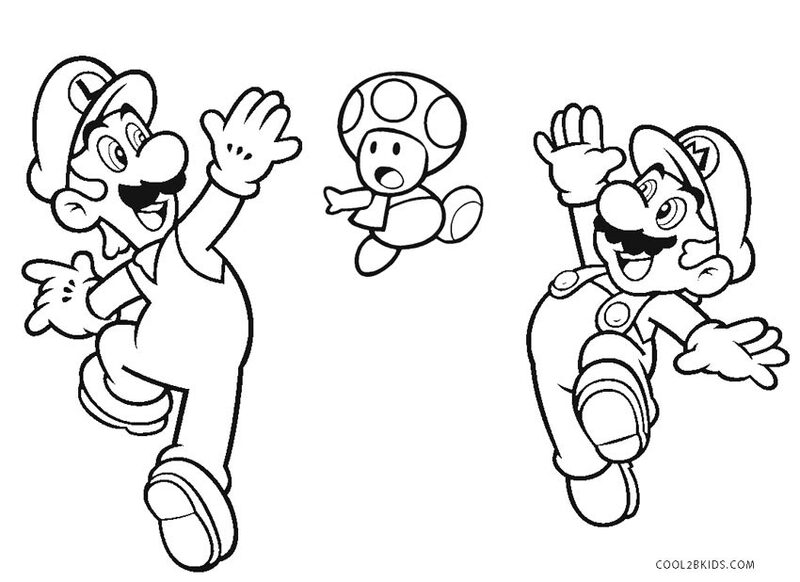 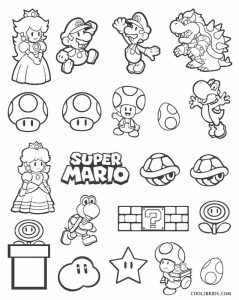 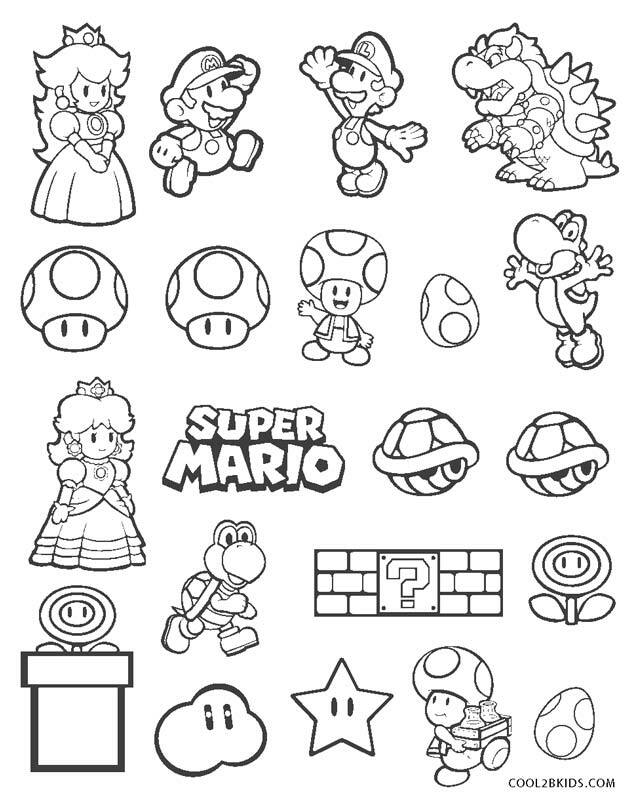 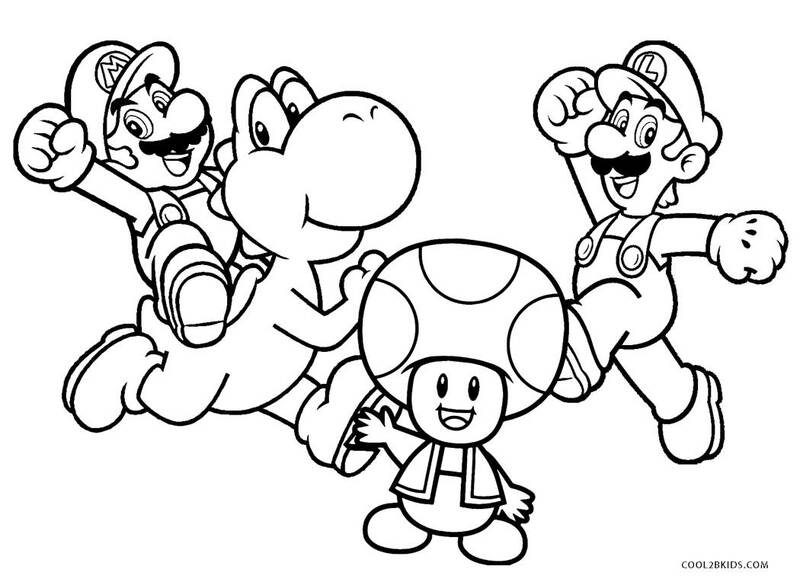 Bright colors would light up the Super Mario series of video games themed coloring pages. 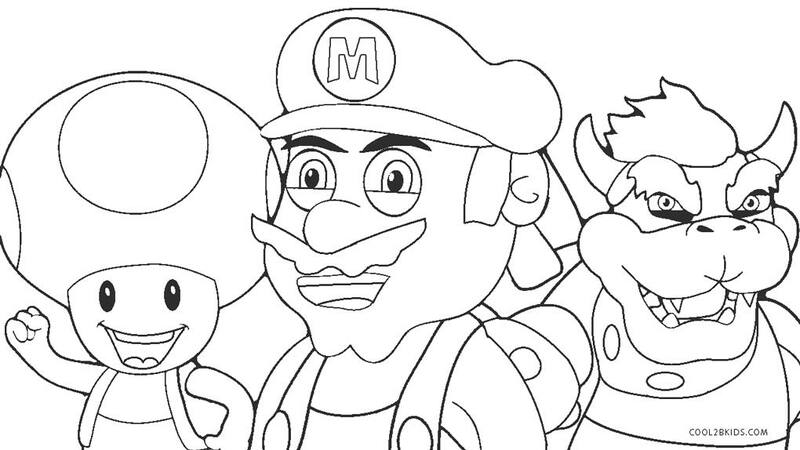 It would take children for a joyride with their paint brushes and color palettes.